Starting a grow from seed is the most common method new growers start out there grows with. Starting a cannabis grow from either seeds or clones usually comes down to personal preference. It will take longer to get to harvest, what kinds of Genetics can you get your hands on, and what your grow is set up for. There are many benefits to starting with seeds and of course some drawbacks. Starting from seed allows a grower to choose the strongest among the seeds that sprouted for flowering or breading purposes. Some argue that 1st generation clones are also more genetically viable. Not that there is enough evidence so show genetic degradation through multiple cloning, just over time with natural stresses and with time degradation is almost inevitable. One of the drawbacks of growing from a seed is acquiring a viable seed of the specific genetics needed for the patient. 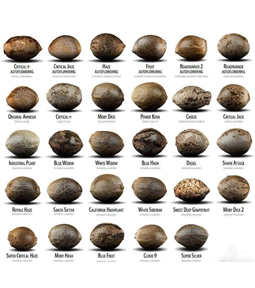 There are many factors that need to be considered when purchasing seeds. One must do their research or get assistance from someone who is knowledgeable in the seed and/or breeding industries in the cannabis space. There are 2 different ways in which seeds are sold; Feminized and un-feminized. Feminized seeds are seeds which have been bred to produce female strains. By means of modifying the genetic makeup, every seed can produce a female plant. Starting from clones is one of the most common among regular growers and professionals alike. Clones allows the grower to continuously grow the same genetics in vast amounts. Clones are usually taken from a large Mother plant however a plant is able to be cloned within a couple weeks, however only one or two will be able to be taken if possible. But every clone will be an exact replica of its donor plant. There are reports of Clones havening Genetic Degradation after multiple cloning but there are too many conflicting reports. I can tell you the results of personal Circumstances regarding this specific situation and there was not any noticeable degradation after 4 years of cloning multiple strains. During those 4 years I stopped cloning a couple strains due to unforeseen circumstances. However, a friend who had gotten a few of my clones a couple years back was still growing and I was able to retrieve the same genetics I had grown for years and thought I lost forever. 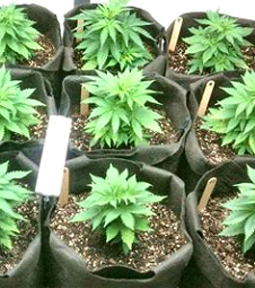 Mother plants are used to provide a continuous stream of clones of a specific genetic. Mother plants can be started from a seed or from a clone. Regardless of where the Mother plants is acquired any plant can be turned into a “Mother Plant”. Cannabis Mother Plants are strong, vigorous plants that are deliberately kept in their vegetative state in order to produce cuttings that grow and develop quickly. When choosing a mother plant there are a few things to think about. What Genetics (Strain) do you want to grow, is your growing environment optimal for Mother growth, and what type of lights to use is important. The Mother Plant must have specific characteristics that are also favorable to your personal situation, ailments, conditions and growing circumstances. The typical components to a mother plant are; strong, robust, resistant to stress, resilient to diseases and bugs, produces a significant yield, the ability to flourish in your specific grow environment (indoors, outdoors or in a greenhouse), the taste, smell, and effect of the flowers they produce. 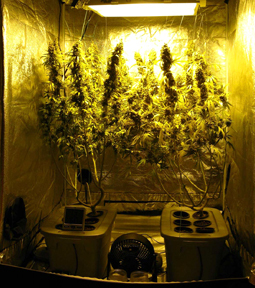 The lighting needed for growing is either florescent, led or greenhouse sunlight. During vegetative stage the blue light is mostly needed for stem and leaf growth. When in the “Vegetative State” of growing is where the mother will stay throughout its lifespan. 18-24 hours of continuous lighting will be needed. Mother plants are to never begin the flowering stage unless you are ready to flower your mother plants and have prepared accordingly. 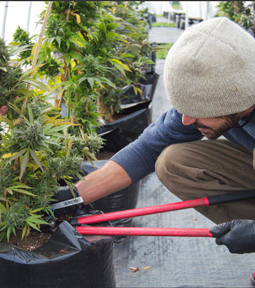 When growing a mother plant, it is important to structure the plant to maximize its potential to produce a constant stream of healthy cuttings. This can be done simply by cutting and snipping your plant from its infancy, especially at its tops, to maximize its width and bring the bottom branches to the canopy of the plant. 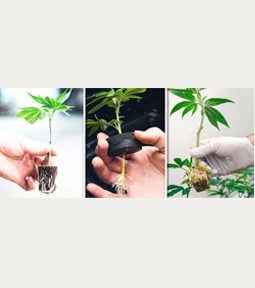 Cuttings clones located at the lower branches are excellent because it has an increased amount of sugar and they grow roots faster than those at the canopy of the plant. After a seed has germinated or a clone has rooted and is growing on its own it enters what is called the “Vegetative” Stage of the growing process. The plant now starts using the white and blue spectrum of light. Helping the plants create a healthy root system, beneficial leaves, and stems that will be needed in the next phase of the growing process called the “Flowering” Stage. In this next stage is where the plants start producing the Flowers or as also known as the Buds. The Vegetative stage is crucial to maximize the plants potential in the flowering stage. You will need to check on the plants every single day to assure the maximum potential of the plants can be reached. You can accomplish this by tending very close to the plant, trying to prevent and keep any powdery mildew, light deprivation and diseases AWAY. Just to name a few and also trimming and pruning the plant correctly will set the plant up for great success. If you are successful in the Vegetative stage you will grow healthy roots, Fat strong steams and robust leaves. The plant will in turn grow healthy size branches and stems and this will help to carry the weight of the buds that will grow during the next cycle The Flowering stage. The flowering process is the last stage of the growing cycle. After this stage is completed the plant is ready to be harvested. Cannabis is a Light sensitive and will only start flowering when the daylight dips below a certain amount. Outdoors in nature Cannabis will start to flower in the summertime after the summer solstice. Basically when the days get shorter and the nights longer. Growing outdoors the time the plant will start to produce flowers will depend on the genetics of the plant. Along with the beginning of flowering the genetics will also determine when the plant is ready for harvest. Although the best way to determine when the plant Is ready for harvest is to look through a jeweler’s loop to see when the trichromes are milky white. 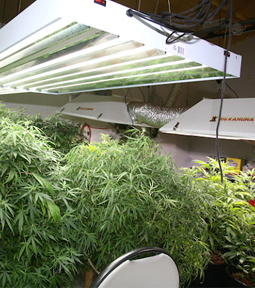 Indoors a Cannabis plant will only flower when the light cycle changes to 12hr on 12hr off. So you are “mother nature” indoors so you need to induce the flowering yourself and can do it at any size the plant is. The Flowering time of a Cannabis (Marijuana) plant can range from between 6 weeks to 16 weeks until the flowers are ripe and ready for harvest. Depending on the genetics of the strain of plant that is growing will determine the amount of “Flowering Time”. Harvest time is fun time but like the rest of the growing process harvest is meticulous and takes a lot of work. Every type of genetics of the cannabis plant will determine how long it will take and when the plant will be ready for harvest. The 1st step in preparing for the harvest is with flushing. (Flushing is the process where all no more nutrients are applied to the plants medium and typically 2x’s-3’s the soil size is needed of water 7-14 days before harvest). 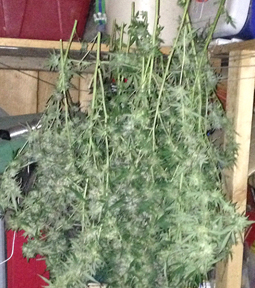 The plant is then ready for trimming of all the excess leaves, followed by cutting the plant at its base then proceed to hanging, drying and curing. 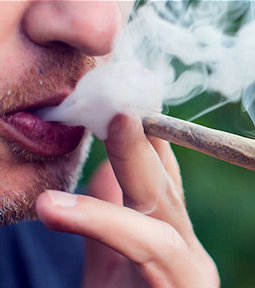 Now there are lots of “Myths” when it comes to Cannabis harvesting. Like the assumption that when the plant is ready to harvest it must be pulled buy the roots completely intact and hung upside down for the oils “juice” to seep down from the roots to the buds. Again totally false a complete myth. The oils or “juice” are already on the buds and whatever is there when ready for harvest is all that will be there. That is why NM Brief Relief is here to be a reliable source for education and correct information when related to Medical Cannabis or Industrial Hemp. With well over 25 years’ experience in growing Marijuana/Hemp/Cannabis space and is the best most reliable contact for anyone looking to get into any filed of specialty. Drying and Curing are in the same category because both work hand in hand and while in the process can jump back and forth from dry to cure and cure to dry. You must understand how important this stage of the entire process of acquiring a high grade potent harvest. There is a saying I cannot remember where I heard it from it goes something like, “It takes 5 years to learn how to grow medical grade cannabis, but takes 10 years to learn how to cure”. It is hard to understand until you grow a beautiful, healthy, resinous plentiful harvest and it gets completely destroyed if dried incorrect. The typical process when the plant is ready and cut at the base it is to be hung upside-down in a dark, dry and cool place. With absolutely no sunlight or if possible any light to hit the plant after it is cut down. (Sunlight degenerated the Cannabinoids after its harvested) After hanging about 3-7 days the plant is ready to start to cure. This is also deciphered when the branches start to crack and brake rather than bend and fold. Once it is determined their buds are ready for curing the buds are then cut into smaller portions and placed in a mason jar that has a rubber seal. Mason jars are the best for curing especially in small batches. After filling the jars up with buds and sealing them again they must be placed in a dark cool place. Then the jar must be “burped” at specific intervals depending on how long of a cure you’re planning on. All joking aside there is a lot you can do with your own personal harvest other than just “smoking”. The most common is making an edible like a brownie, hard candy or putting oil into a traditional meal. The least common is Juicing “Raw Medicine” where you take freshly picked buds and leaves to place in a juicer and consume orally. We here at NM Brief Relief have showed hundreds if not Thousands of patients and non-patients alike utilize there harvest to the best of their ability and to maximize the usage of their crop determined on their personal situations and conditions. We have not only assisted so many in growing their own plants but have also helped them to determine what method of ingestion is best for them and to be able to generate their own medical regiment molded around there condition or illness.